We all really enjoyed staying in the house - very comfortable and well equipped. We appreciated the effective heating and the log burner. Everyone, even Grandad on his 80th birthday enjoyed the zip wire. Lovely walks to Hunstanton, Thornham and Ringstead. Good meals at The White Horse in the village and The Lifeboat at Thornham. Our second visit to Sybil Cottage as a family (1-6 August 2016) previously. 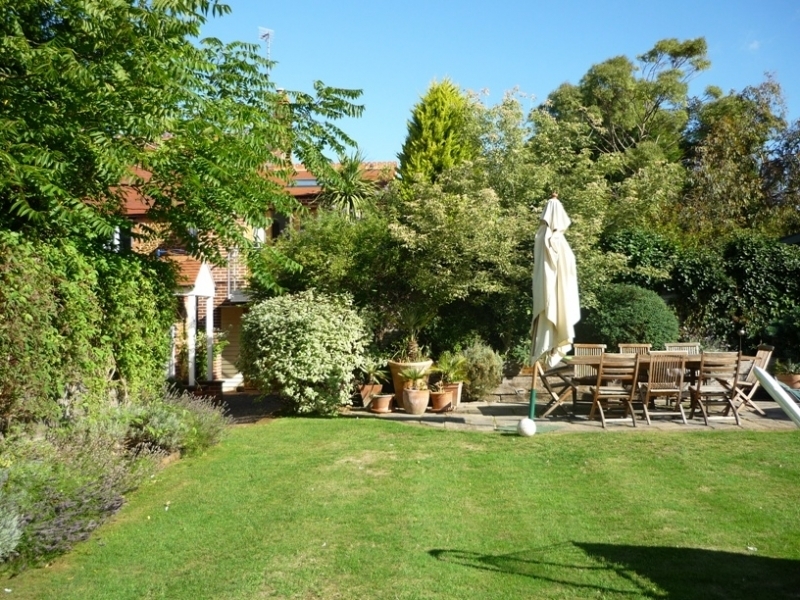 We felt at home as soon as we were all gathered together, enjoying the garden immediately as the weather was glorious. Ethan 8 remembered the garden and zip wire and was thrilled to share it with his cousin Jacob (4 1/2). Rachel 21 months, her leg recently out of plaster loved the trampoline. We all had some lovely evenings in the garden of the White Horse including a very good meal of fish and chips. Beach days, outings to see the seals at Blakeney and a slightly longer trip to Roarr - Dinosaur Adventure Land all added up to another memorable family holiday. Thank you for letting us make this delightful house our home for the week. We had a very enjoyable week, with excellent weather. The garden is a delight. The garden toys were much appreciated and the house is very comfortable. Our two grandsons had great fun. A wonderful cottage, beautiful gardens... never ending! Well equipped with provisions - listened to music in the evenings instead of TV. Amazing variety of good music. Thank you. Would consider to return - Holme is a peaceful relaxing hamlet. Seen rare birds like bitten, cookoo and lapwings. An enjoyable week. What a wonderful haven especially for children (big and small!). Well equipped, lovely master bedroom but the garden is just amazing. Another great week in Norfolk! Down for the tennis and a win! The sun shone all week. Holme beach and Old Hunstanton beach are great. Ate at the yurt (Shucks) in Thornham - very good especially the burgers. Love love love Thornham Deli! The garden is a delight. Loved the massive bean bags for the garden and the zip wire. We've had a very enjoyable week here in this lovely house and fantastic garden. Our children loved the zip wire and all the garden games. We were joined by our Mums on the Sunday and Dad on Thursday so three generations and plenty of space for us all. The beds were very comfortable and the kitchen extremely well equipped. Lovely location and enjoyable walk to the beach. The children liked the bunk room and the master bedroom is spacious and the balcony great with a lovely view of the garden. We would have loved to have stayed longer and hope to come back one day. Thank you. What a lovely time we have had at Sybil Cottage. The grandchildren thoroughly enjoyed their times in your amazing garden that goes on, seemingly forever. What a wonderful main garden too. Every blessing to all who assist in running this holiday home. Many thanks for a lovely week. Children adored the freedom of the garden and we enjoyed the peace whilst they played! Would recommend boat trip tio see the seals from Morston - we used Beans Boats. Also the lovely old fashioned sweet shop in Burnham Market (Mables). Lovely walk from the house to the Holme Visitor Centre and then on to Thornham for deli pit stop (take away picnic). A very enjoyable stay in your lovely house. The children enjoyed the fascinations of the garden (and the cows in the field next door!) plus the activities provided.. We loved teh village setting and the proximity of the local pub (with playground!). Lots of interesting bird life in the area and some wonderful local beaches. We all loved spending a wet day at the Sealife Centre in Hunstanton and two glorious days in Wells. The 5 day stay was all too short - we didn't want to go home! We have had a wonderful holiday in your lovely cottage. The children enjoyed the summerhouse toys! Fantastic week in Norfolk - down for tennis week and the sun shone! The garden and games room are super - the kids (13 and 11) loved the zip wire and basketball hoop and the garden games were great. Thornham Deli was as great as we remembered, as was the White Horse at Brancaster. 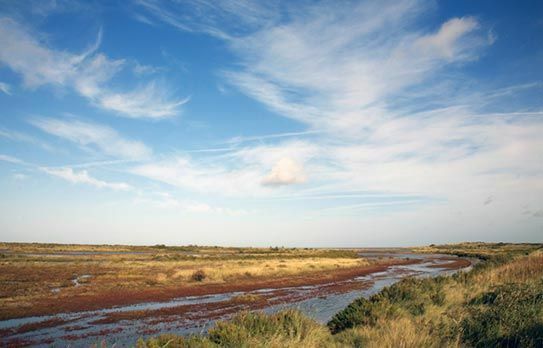 Do try Eric's fish and chips at Orchard Drove and the afternoon tea at Titchwell Manor and go to Titchwell Bird Reserve. Was fascinated by the pictures of the beautiful girls during the years - our home is full of photos of 5 lovely girls and 3 boys! An exciting garden - the young grandsons were thrilled with it. The beautiful weather kept us in the gardens for the first day and a half - most unusual. Such a warm homely atmosphere around the cottage. 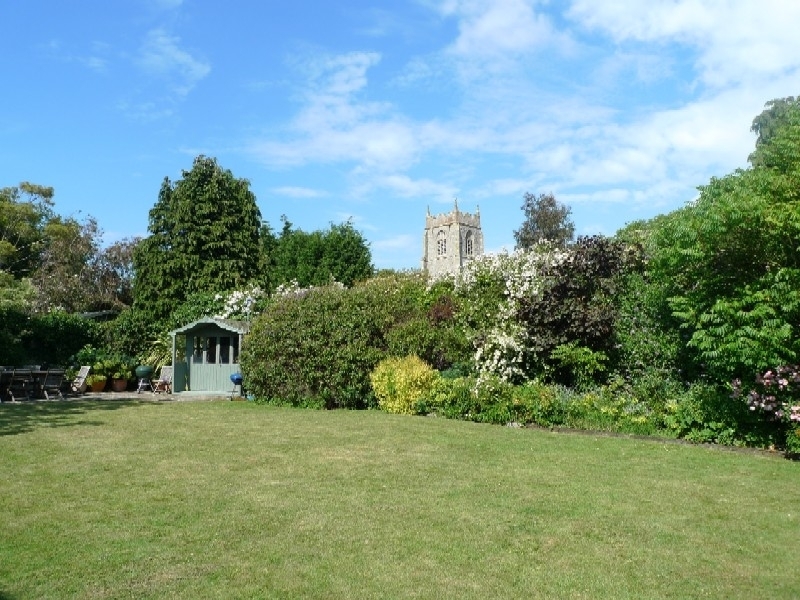 Thank you for allowing us to use your delightful home in Holme, with its most amazing garden. 2 little boys have been in their element especially when we explored the 'Gruffalo Wood'. The beach days we've enjoyed have been superb and morning walks to the sea have been invigorating. 2 big boys have relished the proximity of The White Horse for their daily revival. All in all a memorable holiday. We had a fabulous week. The cottage is just perfect and the gardens are amazing. They kept a 6 5 4 and 3 year old entertained all week! We enjoyed Snettisham Park and Hunston beach is great. We would like to thank you for the lovely peaceful stay at Sybil Cottage. A perfect getaway for busy city ladies. This home put us all at ease and peace with its comfort and warmth. The log fire is a real treat. We had great weather and took the walk down to Holme Nature Reserve. Great place to dine - nearby The Orange Tree - yummy.